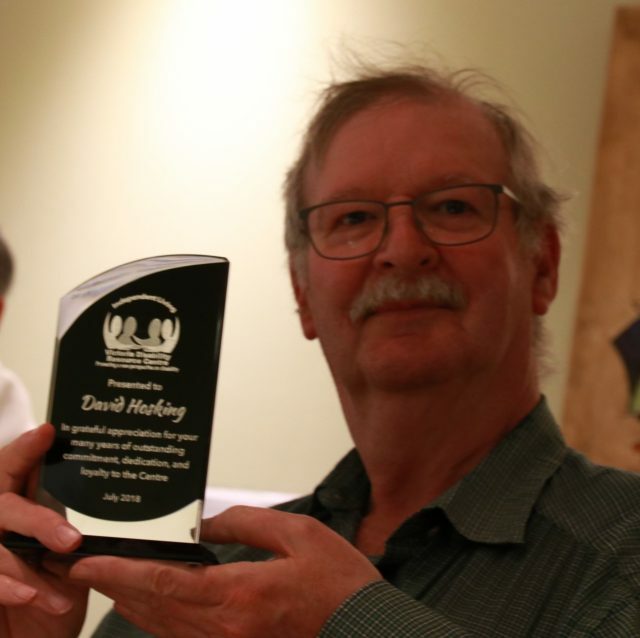 David Hosking, Executive Director of the Victoria Disability Resource Centre, has retired after almost four years of doing his job as a volunteer. David Hosking, Executive Director of the Victoria Disability Resource Centre, has retired after almost four years of doing his job as a volunteer. Previous to this position, David had also served the VDRC for three years as Chair of the Board. Although David modestly says, “It’s been four years of being a caretaker, making sure the place functions,” the staff point to a rather impressive list of achievements. One of their favourite achievements is how he brought the staff together as a team to help the centre function to its full capacity. The VDRC has also strengthened its external partnerships with other organizations such as the Neil Squire Society and the Rick Hansen Foundation, who have both joined our office space since he became Executive Director.